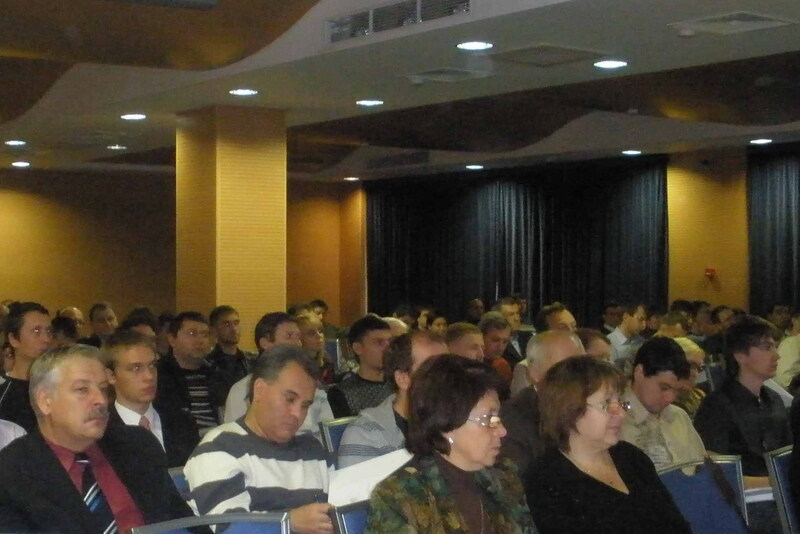 On the 23rd of October the Publicity Creating Company organized a technical seminar for dealers of the Leacond Company. On the 23rd of October the Publicity Creating Company organized a technical seminar for dealers of the Leacond Company. The event was held in President-hotel "Kiev" (Ukraine, Kyiv) and was participated by over 100 specialists from all regions of the country. Seminar was held by specialists of the Leacond Company, as well as by the representative of the Moscow DAIKIN Europe NV office. Participants became familiar with systems of air conditioning, ventilation, heating and control by the DAIKIN Company. Novelties were presented along with existing popular equipment. Particularly, were analyzed modifications in design and configuration, which could be done to these systems. The CEO of the Publicity Creating Company - Valeriy Kureiko – marked, "Technical Workshop is an excellent opportunity not only to familiarize dealers with novelties and their advantages, but also to strengthen relations with partners."